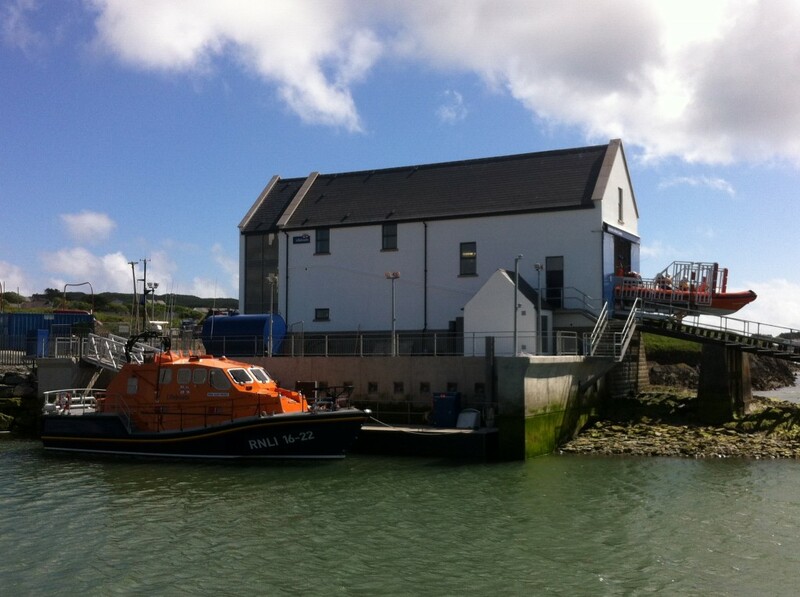 Baltimore lifeboat station refurbishments near completion. Thursday marked another phase in the near completion of the Baltimore lifeboat boathouse refurbishments. 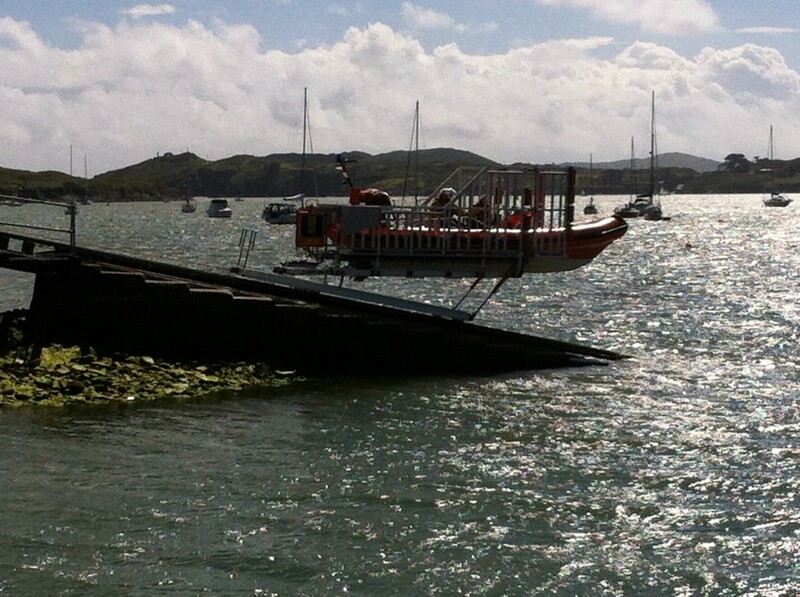 Baltimore ILB (inshore lifeboat) ‘City of Bradford v’ was conducting trials on the slipway at the station. The boat was hauled and launched several times on a purpose built Do-Do trolley, that runs on rails on the slipway with the aid of an electric winch. The works at the station will be completed in July, and the ILB will move from its present location at Baltimore pier to the newly refurbished boathouse. Having both boats operating from one building will help Baltimore Lifeboats to provide an even better service to the area. Next Post: Baltimore Lifeboat fundraiser receives award. Previous Post: Baltimore Lifeboats tow a boat to safety.